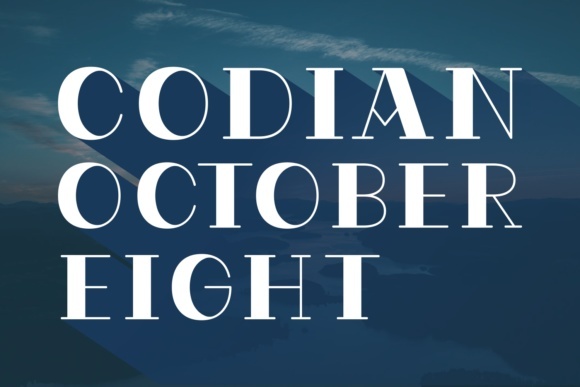 The Codian October Eight is a striking serif font. The bold letters have a good readability while keeping an elegant feel. It comes in a regular and italic version which gives you the opportunity to create multiple unique designs with just this one typeface.